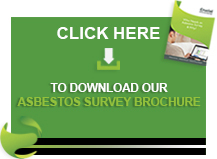 If you have any asbestos waste, it is essential that it is collected and disposed of appropriately. At Crucial Environmental, we have extensive experience working with asbestos including providing a comprehensive asbestos waste collection service. We can provide fast response times and offer our service nationwide from offices in the South and the North of the UK. If you are interested in having asbestos wasted collected, get in contact with us today by calling 01903 297818. Our quotations are all inclusive – including collection, transport and disposal costs. We have years of experience in carrying out all forms of asbestos services – our staff are always happy to provide you with any advice or guidance that you need. No matter what you need – from asbestos surveys to material removal – we can help. If the waste totals over 500kg we will deal with all the paperwork from registering your site with the Environment Agency right through to the final destination at landfill, providing you with complete peace of mind that your waste has been disposed of in an appropriate and safe manner. We will also provide all of the relevant paperwork for your records. All asbestos waste needs to be double-wrapped or double-bagged in 1000-gauge polythene or labelled asbestos waste sacks before it can be collected and transported. We can provide a bagging and wrapping service if required. If you would like to learn more about our waste collection services please get in contact with us today by calling 01903 297818 to speak to a member of staff, or you can email info@crucial-enviro.co.uk and we will get back to you as soon as possible. Please call Crucial Environmental Ltd. for the best prices in the UK on 01903 297818 or complete our contact form today!